Registration details will be sent 2 weeks prior to the webinar. To register for webinars, please email Monica Rodgers at mrodgers@usbia.org. 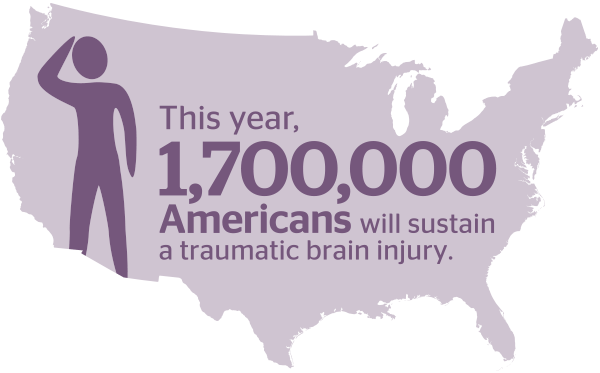 This March, in recognition of Brain Injury Awareness Month, the United States Brain Injury Alliance (USBIA) is taking steps to increase awareness about brain injuries, including prevention, recognition, and response. According to the Centers for Disease Control and Prevention (CDC), an estimated 1.7 million people sustain a traumatic brain injury (TBI) each year. Of those individuals, 52,000 die, 275,000 are hospitalized, and 1.4 million are treated and released from an emergency department. By taking part in our Brain Injury Awareness Month campaign, you can unite with the millions of citizens living with brain injury and their families who are taking action to ensure their voices are heard. There are lots of ways you can help promote brain injury awareness in your community, especially electronically. Arm yourself with the tools you need to share your connection to our cause, raise awareness about brain injuries, and help distribute our materials! Sample Letter to the Editor and Sample Press Release are available to use as templates for reaching out to your local media outlets during the month of March. Don’t forget to elaborate on your own connection to brain injury and why Brain Injury Awareness Month matters to you. Talking Points and Fact Sheet can be found to incorporate into your outreach in order to provide a national perspective, but be sure to use state-specific statistics as well. Materials will be available to chapters in late January.